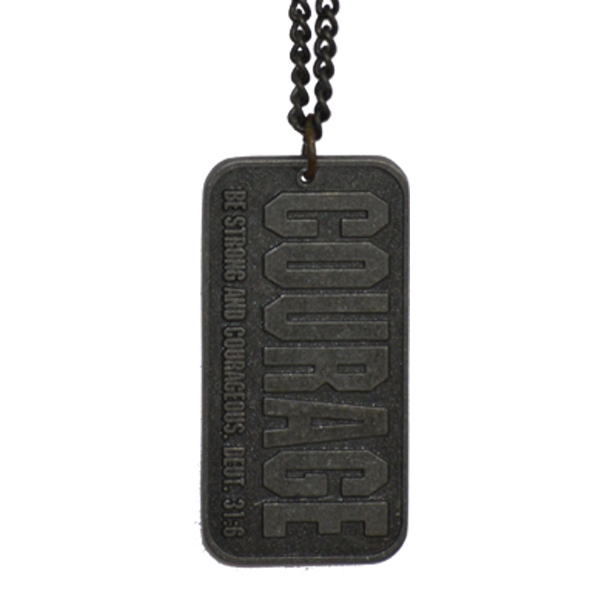 This dog tag reads "Courage, Be strong and courageous - Deut. 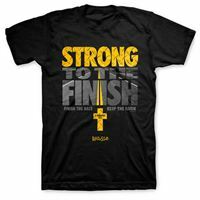 31:6" on the front. 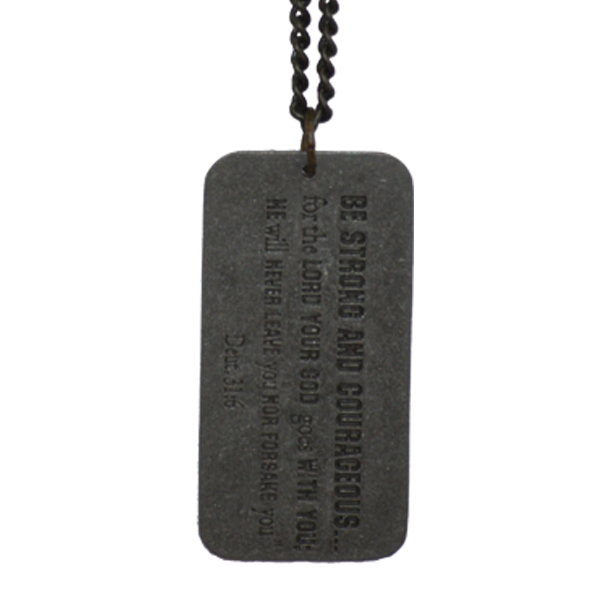 The back reads, "Be strong and courageous, for the Lord your God goes with you; he will never leave you nor forsake you. 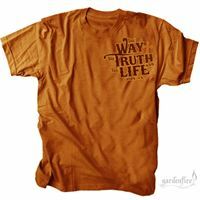 - Deuteronomy 31:6." Chain is 20 inches in length.